Following this morning’s news that Samsung will push an update to the Galaxy Note 7 in the US that’ll permanently disable it, T-Mobile has confirmed that it plans to release that update to its Note 7 devices. 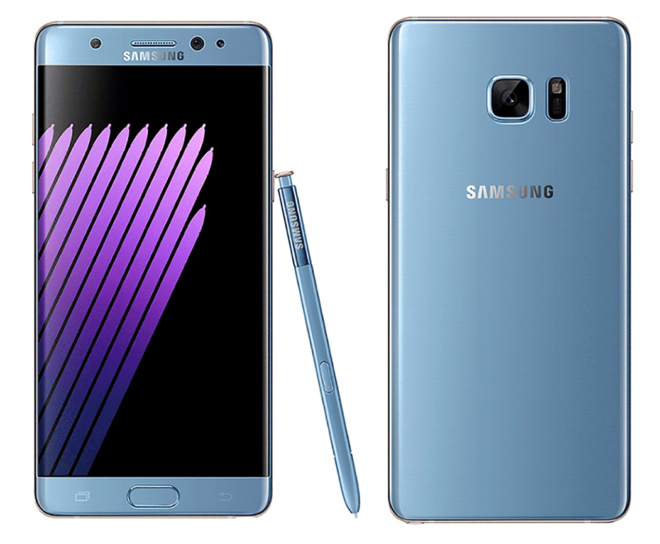 A T-Mobile spokesperson confirmed to TmoNews that it will release Samsung’s Note 7-killing update on December 27. The spokesperson went on to reiterate that if you’ve still got a Note 7, you should power it down and return it for a full refund and replacement phone. Verizon announced earlier today that it won’t be pushing Samsung’s update to its Note 7 devices, saying that it doesn’t want to kill a device if users don’t have another phone to switch to. Verizon added that it doesn’t want to make it impossible for Note 7 users to contact loved ones or first responders in an emergency situation. T-Mobile won’t be following Verizon’s lead, though, which means that anyone still plugging along on with a Note 7 despite its 60 percent charge limit, you’ve now got less than a month before your device turns into a shiny paperweight. Hope those that are hanging on to the kaboom Note 7 return it for a different phone while they still can. Can’t imagine holding on to a phone that only half charges and can’t get any updates or support from Samsung or their carrier. Well, if they get burned for holding on to this thing…we all told ’em it’d happen. Yes and all they have to do is block your IMEI and you’re stuck with a WiFi phablet. You can flash a custom rom and change your IMEI. Problem solved. I don’t get why Verizon won’t offer their customers a replacement phone and refund. That’s bad business. Those people are going to switching soon. I’m just guessing. They did / they are. People are just being stubborn keeping them. Just root, flash a custom rom and change imei to another phone’s imei you own like I have. Problem solved, and there is no current law against changing your imei in the United States. I’m not saying it’s right or wrong to keep the phone, but there are many products that are defective in the market and think it’s more about a how far a companies right should extend to products you own and if they have a right to “brick” a product they do not own. Seems a lot like criminal mischief if you look at a legal dictionary. I do not personally believe you should be forced into any updates of a product you currently own if you do not want them. Guess what? They can easily block your imei address too. The network/system recognizes the systems changed id/imei address. Not if you hex edit your dev/bin files corresponding to the appropriate location of your phone and modem info. You’ll need certain tools though, made by qualcomm if you have a qualcomm chipset as well as various other tools freely and legally availible. Be careful as you can brick your device if you don’t know what your doing. PLEASE research and be informed. IF you want to say things or illegal just because they aren’t normally done please cite the codes and laws which you are basing your assumptions. You are right you own the phone and can do with it what you want. What you don’t own is the software that runs the phone. The owner of the software is Samsung and they can modify their software at anytime and in anyway they wish. Cell phone carriers also have the right to limit which devices they allow to connect to their network. It all legal. YES you DO own the phone albeit unusable. Better return the kaboom Note 7 before its too late to get a different phone. It’s a safety hazard. And these same people who are too stubborn to trade it in would probably sue Samsung if it finally explodes. It’s ridiculous. It is illegal to modify an imei number. It is considered cell phone cloning fraud. Every cell phone is supposed to have a unique factory-set electronic serial number (ESN/IMEI) and telephone number (MIN). A cloned cell phone is one that has been reprogrammed to transmit the ESN/IMEI and MIN belonging to another (legitimate) cell phone. Unscrupulous people can obtain valid ESN/MIN combinations by illegally monitoring the radio wave transmissions from the cell phones of legitimate subscribers. After cloning, both the legitimate and the fraudulent cell phones have the same ESN/MIN combination and cellular systems cannot distinguish the cloned cell phone from the legitimate one. The legitimate phone user then gets billed for the cloned phone’s calls. Call your carrier if you think you have been a victim of cloning fraud. Since changing the IMEI is cloning a device, it falls under FCC law. Cite the law, there is no current law hat prevents me from using the imei of another phone provided that phone isn’t used on the network at the same time. IF you did try to use two phones with the same imei you would get blacklisted immediately. Other countries have laws specifically against changing the IMEI but not here in the US, read my post. Fcc mentions nothing about changing imei numbers and since I am not cloning a phone that doesn’t apply. As citizens we should learn and understand the laws and freedoms we have that other countries do not. Please understand I am only trying to have reasonable conversations with facts and not opinions. What arrogant assumptions about the rights you think you have. You may own your phone’s hardware but you don’t own its software, which you possess via a licence agreement. Furthermore, what true rights do you really have to possess a phone that is both illegal to carry aboard a commercial aircraft and can put other people’s life and property at risk of fire? These are imagined but not true rights. Please power it down and turn it in for a refund, get something else and move on. The only arrogant assumptions made are not understandin product law or open source licensing which is what samsung built their UI on top of agreeing to certain terms and conditions from google’s Android OS specifically in terms of malicious code. At the heart of this issue is what a company has a right to do and not to do. SAMSUNG has offered remedies for those that bought phones through retailers but what about second hand markets? About people who bought them from ebay and Craigslit? I was specifically told by Tmobile they would not exchange my phone since I did not purchase it from them and contact samsung. SAMSUNG said take it back where it was purchased for a refund. No current legal precidence exist dictating if a company has the legal right to destroy a product once you own it and furthermore raises a significant legal issue that must be decided by courts. So before commenting please cite any legal Precidence that your standing on if I am in error and not talk about legal issues or assumptions one might think they know. BTW A recall is a voluntary request to return a product not a legal order to do such. And you might want to check out 18 usc ss1030 (a)5 as well as the whole CFAA and here in Alabama 13a-8-112 but that is a little harder to get a company for, not impossible though. This is America and as such I am not here to argue or demean anyone. Everyone should have a free voice and the rights to his or her own opinions and we should respect that. I only want to engage in facts, specific rights and remedies availible to the consumer. You have a right to keep your phone, functional or not. What you don’t have a right to do is put other people’s lives in danger just because you want to hang on to a recalled device that is known to burst into flames and injure people. Can someone tell me why these people don’t want to return a phone,that put themselves and other in danger? I just don’t get it. I don’t care how good of a camera it has,besides most you people on here get new phone every 6months or every year,what is the big deal? It’s simple, principle and legal right. People roll over everyday and do what they believe they have to. Remember the Firestone recalls? 175 people died and 700 were injured but did Firestone have the right to show up at your house and take the tires off your car leaving it on blocks? SO what if they put money in your hands for them… what they would have done would have been illegal and people aren’t getting this point. I know the phone is dangerous, but some people obviously cannot read that there is no taking it back to get a refund as it wasn’t bought through a retailer. SO please read the complete thread and posts what would you do if you paid $900+ and a company bricked it with without compensation or the authority to do such? You are the definition of an entitled consumer who in reality deseves nothing special. Contact Samsung and demand a refund. Hopefully your phone just quits working alltogether on it’s on so that way it poses a risk to nobody, and Samsung bears no responsibility. Sorry that was a bit rude. I hope you get an adequate resolution from Samsung such as a check for a full refund plus a little to cover your troubles. I just don’t want anything safety wise to affect anyone so I feel it’s a bit selfish to use it around others. Well sorry to hear that,if you brought that phone from someone and not a store,then you really can’t blame them for not giving you your money back,or getting new phone,but then they should since they recall it,they have given new phones to mostly everyone who has that phone they should do the same thing for you.Hope they do. Everyone seems to think it’s simple, just return the phone and get another one. So what if I would cost me $1000 dollars due to samsung and tmobile unwilling to replace the device… im sure that is pennies to everyone here and wouldnt mind eating that cost…at least in the before mentioned post you could return the defective tires to anyone who sold Firestone tires and they would be replaced. This isn’t the case with samsung. IS anyone getting the difference and the fundamental legal issues pursuant to this case? Wait, Samsung and T-Mobile are unwilling to replace your device? I thought everyone who purchased the Note 7 was entitled to either a full refund or a device of equal value. Are they refusing to honor this? So Reasha be the first in your world to bring a suite against T-MOBILE or Samsung. You’ll soon know if you own a brick or a workable phone. Good luck. It IS DEAD, people. Get an Idol 4s with Windows 10 or a S7 Edge if you want a functional phablet. I would advise filling out an FCC complaint online. I’ve read all your comments, sounds like a bum deal, but you can force their hand. I promise. I went after Verizon using the FCC before when they wouldn’t comply. Within a month, the problem had been solved. Trust me, when FCC gets involved, it goes to the corporate level. And if those big wigs have to be bothered by shoddy customer service, they’re gonna do everything they can to make it right, because they have to file an incident report with FCC explaining what steps they took to rectify it. So before you write it off as a loss and stick with it, you should flush out that final option. This website went to crap… no post in how many days. .
Yeah. They said it would be crap when the guy who started it had left. They admittedly said less updates would be made. They were doing fine for a long time after he left though.